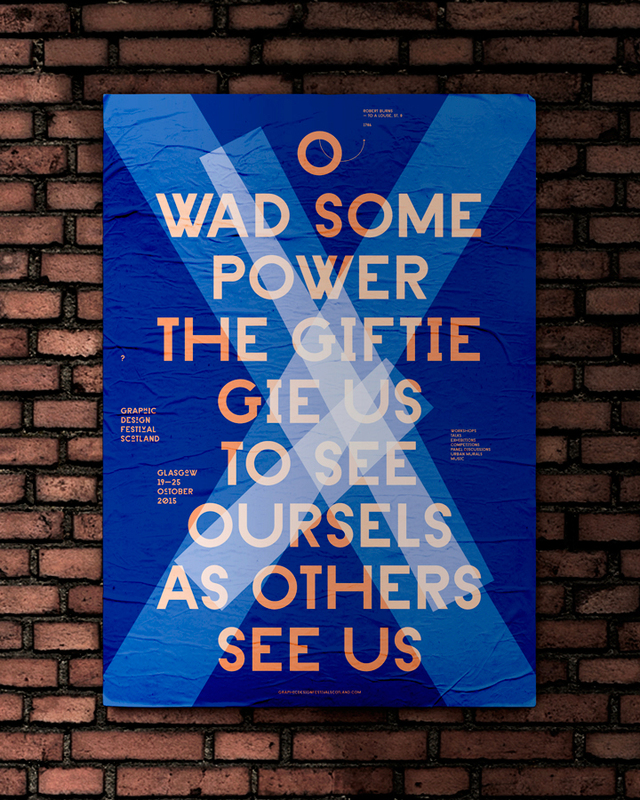 I created this poster specifically to celebrate the 2015 edition of the Graphic Design Festival Scotland, an awesome international organisation promoting creativity, innovation, collaboration and challenging ways of thinking through a programme of workshops, talks, panel discussions, exhibitions, competitions, music and urban murals all the ways in Glasgow. 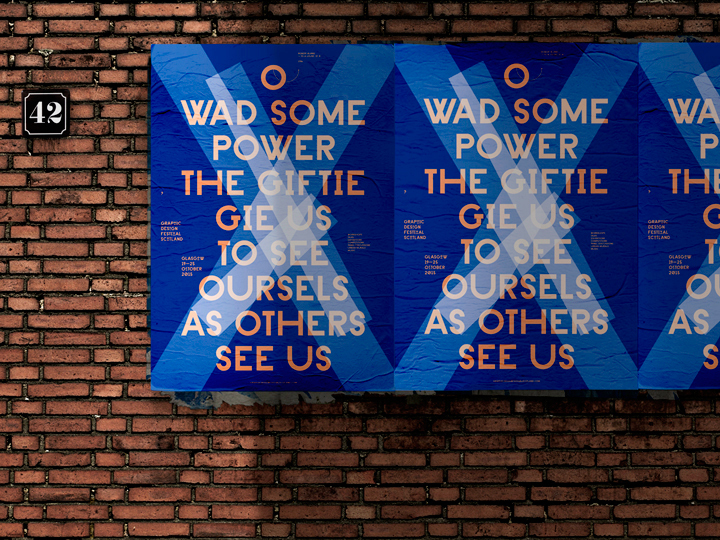 The poster showed here — submitted but not selected — consists of a simple blue background + a huge headline font writing which there are quoted words by Scottish poet Robert Burns (1759 – 1796), ‘Scotland’s favourite son’. 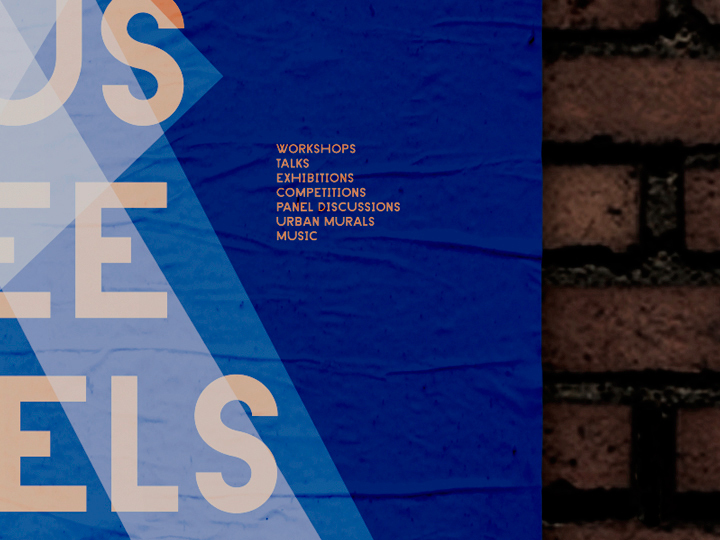 I found these lines great and decided put them on the poster as promotion for the Festival. Decontextualized, these words fit for that graphic design way of thinking where the will of designing good and creatively melts with the will of acquaintance of what should be great for the ‘users’. Well, this doesn’t always happen and so — to emphasize this option — I strongly striked the whole paper field with some diagonally placed pieces of transparent (becoming white once overlayed) scotch tape. Creating a Saltire, as in the ‘Scottish flag’. Scottish flag. 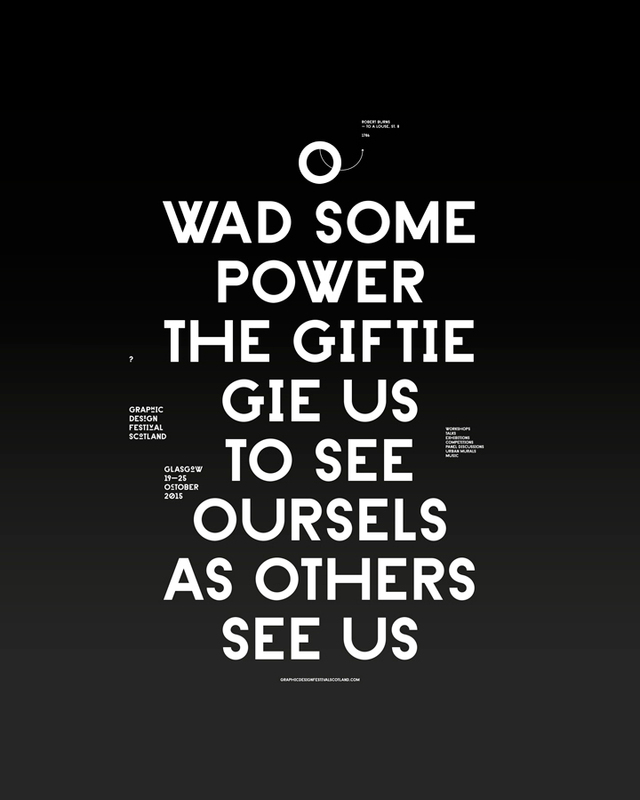 Scottish poet. 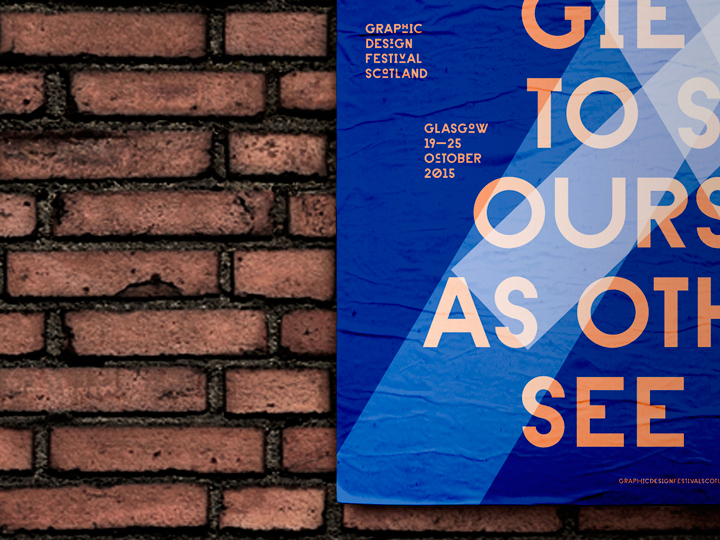 Scottish Graphic Design Festival. That’s it. 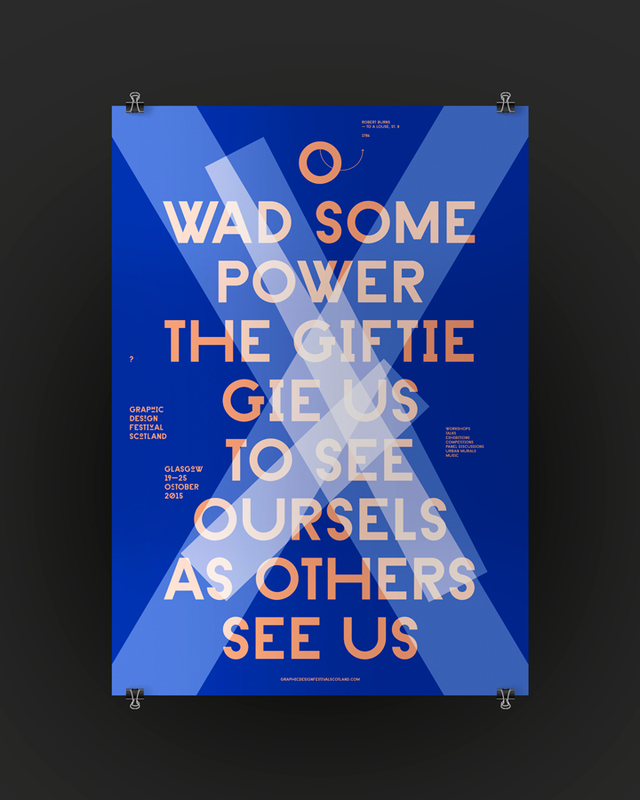 This poster is my submission for the 2015 edition of the Poster Competition led by the Graphic Design Festival Scotland organisation. 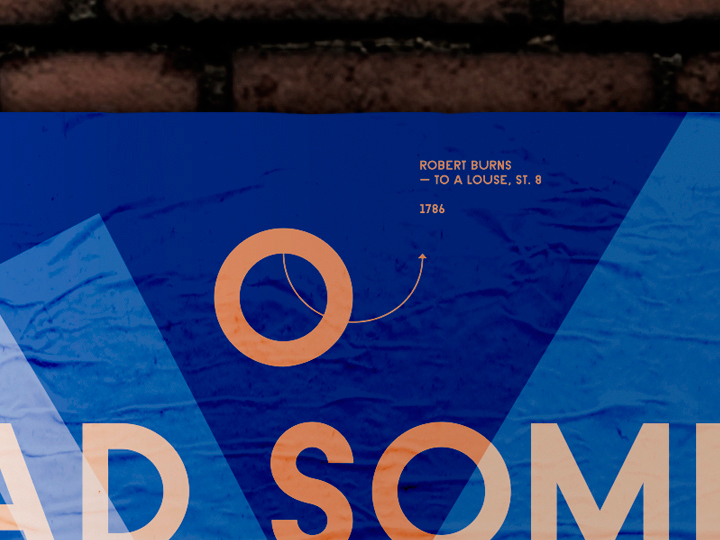 The poster was not selected and in fact did not represent the festival’s final identity.